Nowadays, almost no one enjoys drinking tap water. The major preferences are purified water or spring water. It's not hard to see why, either. Tap water contains all sorts of impurities, contaminants and even pharmaceuticals, which aren’t exactly healthy. Ibuprofen is great for a headache, but I doubt most people want to be drinking it. Fortunately, better access to in-home and commercial water filters has aided many in having access to cleaner, more delicious water. However, in some cases, even regular water filters don't quite cut it. There is now the advent of water called Smartwater, and it is sweeping the nation. Smartwater was originally a bottled product by the Glaceau company. Their process is essentially to distill water and then, for taste, add back in the electrolytes, calcium chloride, magnesium chloride and potassium bicarbonate. Electrolytes are an important part of health, especially when one is working out or expelling lots of physical energy. But, if you're not a fan of bottled water or the high costs that come with purchasing bottled water, what can you do? This is where the GE Smartwater filter comes in. Smartwater filters are basically a cut above the rest. If you've invested in a GE Smartwater filter, for example, you can expect more health benefits from it than if you had stuck with a regular water filter or bottled water. This filter line has received high praise and, better still, is relatively inexpensive to install in your refrigerator. So, you've made that jump and bought yourself one of the GE Smartwater lines. Now you're wondering what health benefits you can expect. Let's dig in and find out. Contaminants and Pharmaceuticals—Tap water contains an almost startling amount of contaminants and pharmaceuticals. As you can imagine, this isn't healthy for anyone in your household, especially if you have small children. The GE Smartwater filter helps break down and reduce chlorine-resistant cysts, lead, select pharmaceuticals and 15 other contaminants. 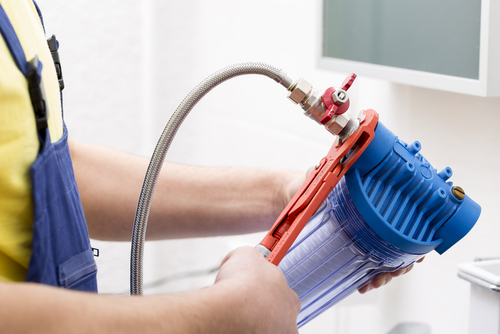 While other water filters do work to help eliminate contaminants that you would find in regular tap water, this innovative filter essentially works overtime to help eliminate said contaminants and much more. In essence, you'll be getting a much cleaner and healthier experience with this filter than if you had stuck with a non-Smartwater filter. ·Better Taste Equals Better Incentive—Do you know anyone who likes water that tastes off? Sure, some prefer the mineral taste of spring water, but no one tends to like the taste that comes with unfiltered tap water. In some cases, even the taste of regularly filtered water just isn't what you are looking for. 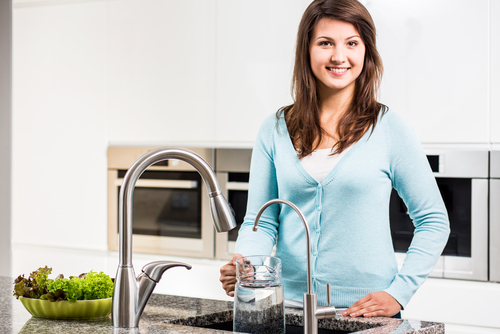 A GE Smartwater filter provides some of the cleanest and purest tasting water around. The better the water, the more likely we are to want to drink it, right? Even some unnamed soda fiends will be more tempted to drink water than they will be to toss another can. Customers of the GE Smartwater filter have touted the taste as being of much better quality than their old filters. It seems like this particular filter is an overall investment in your health. ·Working Out Made Easier—With the high level of filtration the GE Smartwater filter provides, the water you are receiving from your very own refrigerator is, no doubt, better than the expensive stuff you'll find at the gym. It's no secret that good, clean water is essential for powering our bodies while we slog through our workout routine. The water produced by the GE filter has been broadcast as being more invigorating and enjoyable overall. When you're reaching for your water while on the treadmill, you'll be enjoying it a lot more than if you had bought that $3 bottled water from the vending machine. Good for your health and good for your wallet. With a cleaner filter and better tasting water, you're going to be able to reap the benefits of your GE Smartwater filter for a long time to come. Relatively inexpensive and with a shelf life of six months before needing a replacement filter, it will keep you drinking refreshing and intensely clean water for some time. No one likes the idea of their water not being clean. Not many like the idea of paying egregious prices for bottled water, either, especially when the cleanliness level of said water cannot be reliably identified. Really, if you are trying to invest in your own health, a water filter of excellent quality is a great investment to make. With this filter, you're essentially getting those same benefits with a noticeable increase in overall quality.